The Nintendo 64 marked the end of an era for Nintendo. After their long-standing monopoly on third-party developers was eventually abolished by law and a business deal with Sony to produce a CD add-on for the SNES fell through (indirectly resulting in the birth of the Playstation), Nintendo suddenly became the unpopular one on the block. While Nintendo's second parties still continued to make quality games for their consoles, most other companies did not. Many developers, including the ever-popular pillars of Squaresoft, Konami and Capcom, departed for the other two platforms, leaving behind a lot of lesser companies attempting to fill the gap on a platform that was exceptionally difficult to develop software for. The end result was a system with a handful of top-notch games scattered between a lot of mediocre-to-awful garbage. The higher price point of the system's software certainly didn't help matters in that regard either - the Nintendo 64's cartridges cost on average about $20-$30 more than a CD-based game on the Saturn and Playstation, so it was natural to expect better quality for such a drastic increase in price. Still, despite the dated graphics and clunky cameras and controls that characterize the beginnings of the 3D era, the N64's library has generally held up better over time than those of its competitors (though its controllers have not), and for a system you can collect for at next to no cost these days there are quite a few quality games to be found. So let's count down my favorites. In an era where point-and-click adventure games had largely fallen by the wayside, the closest thing most people had were survival horror games that involved a lot of switch-flipping, slot-filling puzzles, but that didn't quite scratch the itch. Shadowgate 64, however, didn't break from what made the franchise a hit on computers in the 80s, and as a result garnered a small fanbase. 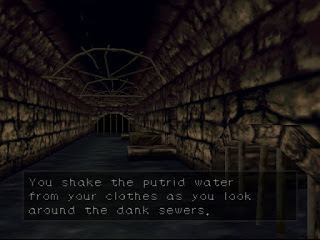 Sure, it moved to 3D instead of static screens and had a two-button interface instead of a menu, but much of the rest was still intact - finding items, figuring out where to use them, and just getting immersed in a dark, creepy atmosphere and storyline as you made your way to the end and tried to figure out what to do to progress. A mostly overlooked entry in a classic franchise. 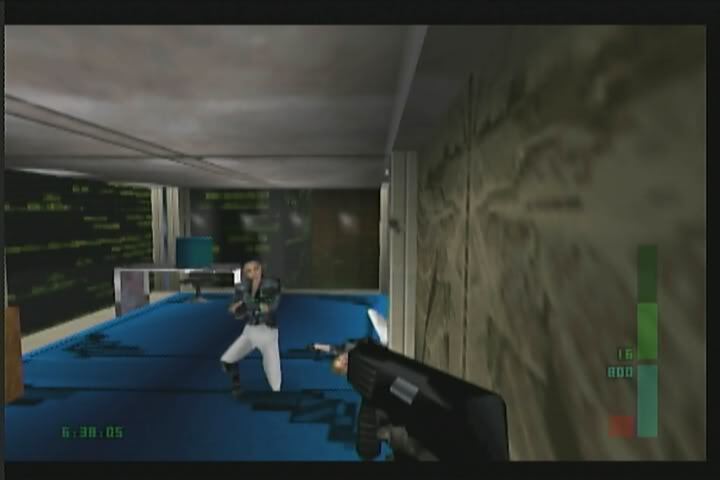 At a glance, it was easy to dismiss Goldeneye for its blocky character models, uneven framerate and seemingly basic first person shooter gameplay. However, closer inspection reveals a surprisingly strategic game that encompasses the best elements of movie-licensed games - close enough to the original film to be familiar, but divergent enough to still be a fun title. Case in point, each stage gives you a list of missions to complete and a variety of gadgets to complete them with - timed mines, magnetic watches to pull keys and items closer, cutting lasers and so on. 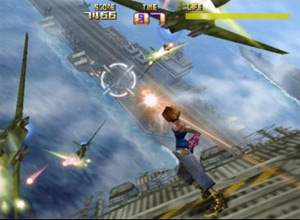 It was also among the first games I can think of that encouraged player speedrunning (allowing cheats to be unlocked if a target time was beaten) and it even had a pretty kickass split screen multiplayer mode that made for some really hectic matches as bombs and bullets were constantly flying past your head. 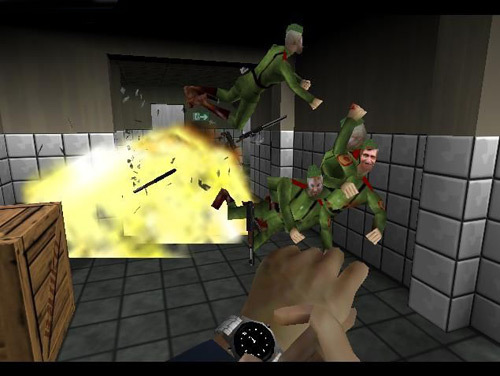 It may not stand up nearly as well today, but Goldeneye remains a defining game for the Nintendo 64 platform. 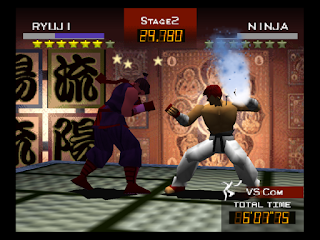 The Nintendo 64, in lacking the support of big-name third parties, also largely missed out on several popular genres; one of those was fighting games. Sure, it had the token Mortal Kombat ports and a Killer Instinct title early in its lifespan, but aside from those, the ones it got were mostly low-effort and forgettable ventures just made to cash in on a void. However, Genki's take on the genre proved to be something unique and interesting. Rather than being a traditional race to deplete your opponent's health bar, Fighter's Destiny operated slightly more akin to a traditional martial arts tournament, challenging each player to earn points by doing certain moves - a ring out would earn one point, a throw earns two, knockdowns and counters were three points, and landing a special move would earn four, with the winner being the first to a set number (seven by default). Better, one could counter almost every move their opponent had with well-timed blocks or button presses - stopping throws, throwing back a counterattack at an opponent's special for an instant three points, or even grabbing their leg while dangling from the arena's edge and throwing them off instead. That, plus a number of unlockable characters and moves and numerous minigames, made Fighter's Destiny a title of considerable worth. DMA Design's Body Harvest was hyped well before the Nintendo 64's launch, but ended up being delayed so long that by the time it came out, nobody really cared anymore. Their second outing, however, fared quite a bit better and even became a cult classic for the system. Space Station Silicon Valley is something of a cross between Grand Theft Auto and Mario 64, having the player (as a robot's lone surving microchip) overtake the bodies of robotic animals in order to venture across obstacles and complete various objectives across four major environments and numerous sub-levels. Its quirky sense of humor, strange setting and simple yet fun gameplay make it a lot of fun to play, as does its charming visual style. Even a few odd bugs that prevented 100% game completion couldn't stop it from being a good time for all. 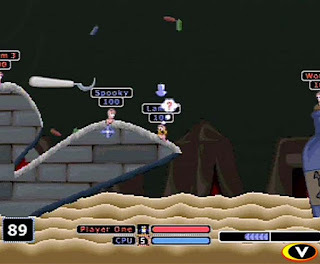 Worms is a cult classic franchise inspired by other artillery-heavy turn based games like Scorched Earth, pitting small armies of worms against one another with a variety of outlandish weaponry and gadgets to maneuver and reshape their environment - blowtorches to cut through walls and floors, bazookas to blast opponents away, grenades to lob into narrow corridors, jetpacks to fly to safer ground, and oddities like a concrete donkey and the eponymous Armageddon to just wreak total havoc. 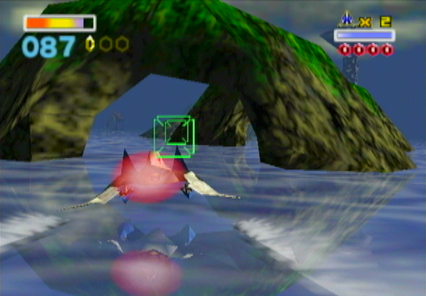 The game made the leap to the N64 while losing surprisingly little from its computer counterparts, utilizing an interface perfectly suited to the controller and surprisingly little lag or slowdown. It may not be the most beloved entry in the Worms series, but Armageddon was a sight to behold on the N64 for the time period it came out in. Pokemon Stadium was a pretty novel concept - upload your Pokemon from the Game Boy games (via the included Transfer Pak) and have them battle other players on the big screen, or take them through a series of gauntlets against exclusive new trainers much tougher than any seen in the Game Boy game (eventually squaring off with none other than Mewtwo). Basically, if you were into Pokemon, it was a treat. So, with Gold and Silver freshly on the market, it's no surprise that they'd repeat their success with a sequel that supported those games. 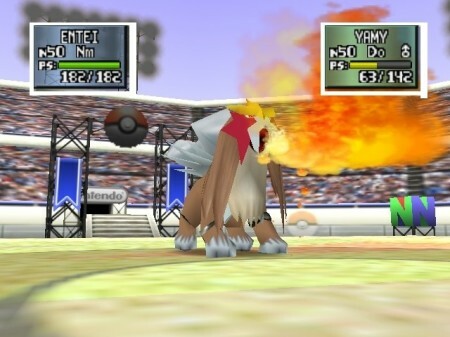 It didn't fare as well financially or critically (and was somewhat overlooked since the Gamecube, Xbox and PS2 were fast approaching), but it offered just as much over its predecessor as the second gen Pokemon games did over the first. The first Zelda game to break into the realm of 3D, and it was definitely a game-changer for its time, retaining the puzzle-driven dungeons, smooth controls and intense action of the classics. 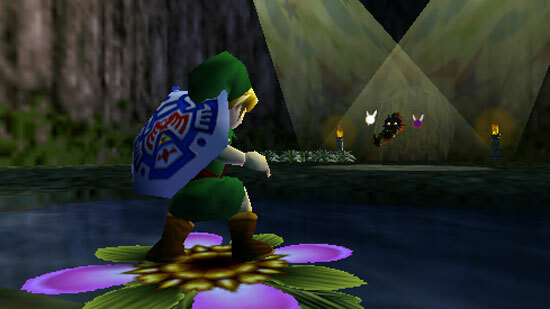 Aided by an innovative lock-on system that made melee combat intuitive, as well as a stellar soundtrack and a surprisingly grim atmosphere at times, OOT definitely proved that Nintendo was willing to match its competitors in making a darker, grimmer game to appeal to an older audience without sacrificing anything for their existing fans. While the game is a bit rough around the edges and kind of feels like they were fighting against the N64's limitations at every turn, OOT nevertheless set a standard that games today still work to live up to. 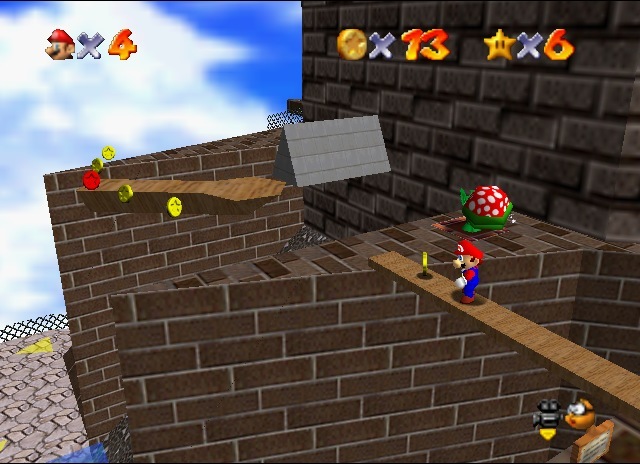 Like the Super Nintendo before it, the first game released on the Nintendo 64 was not only a groundbreaking title that showed off the power of the system, but a testament to the staying power of Mario. Sporting reworked gameplay that included new moves like wall jumps, slide kicks, triple jumps and the ever-fun ability to pick up and throw certain enemies around, as well as a huge variety of stages and goals, the game was just as much of a joy to explore as it was to complete goals in. Sure, the camera was annoying at times and the level design threadbare, but there's no denying that this game, unlike virtually every other 3D game before it, played just as well as it looked, capturing all the platforming joy of a Mario game while setting itself apart in the best way possible. A great many fans ended up disappointed when Star Fox 2 was cancelled. Understandable, as the game looked fantastic, expanding on the original in every way imaginable and featuring some downright amazing 3D graphics on the SNES (which, as stated, was not designed with 3D graphics in mind at all). 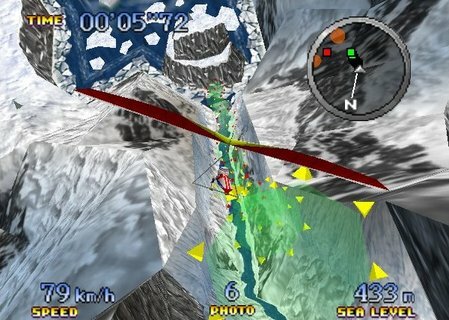 Well, Nintendo somewhat made it up to us with Star Fox 64, a solid remake of the original game featuring a voice acted narrative (with actual voice acting, not garbled gibberish), sharp graphics, gigantic bosses, clever stage designs and numerous stage routes that gave the game some substantial replay value. 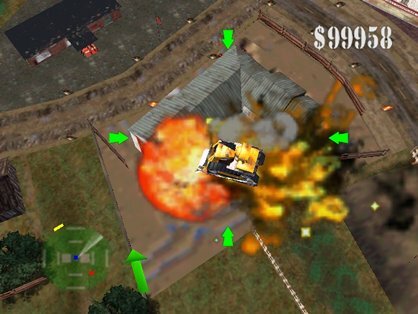 There were even two new controllable vehicles in the form of the Landmaster Tank and the Blue Marine sub, which were pretty cool but sadly limited to specific stages. All in all, though, we have a solid entertaining game that's fun to try and get a high score on. 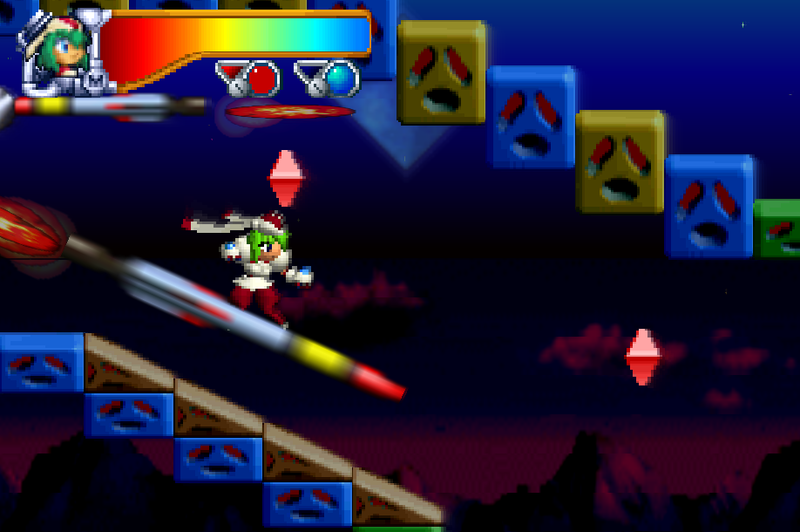 It was also the first game that touted the use of the "Rumble Pak", the device that introduced proper force feedback to gaming and would shake your controller whenever you took an especially big hit. Every game console since has incorporated that into their controllers in some form or another, so it was a pretty big deal at the time. The somewhat divisive direct sequel to Ocarina of Time, which not only required an N64 RAM expansion to even run, but introduced tons of new elements to the gameplay (some might say too many). Most of these come in the form of equippable masks that grant Link new forms and abilities - from running faster with the rabbit mask to being able to safely approach certain enemies to full-on transformations into the form of a Deku scrub, a Goron and a Zora that granted entirely new movesets and abilities. Most of these were optional, however, which gave way to a surprising amount of sidequests and extra tasks that could be done in nearly any order, giving the player a tremendous amount of freedom. 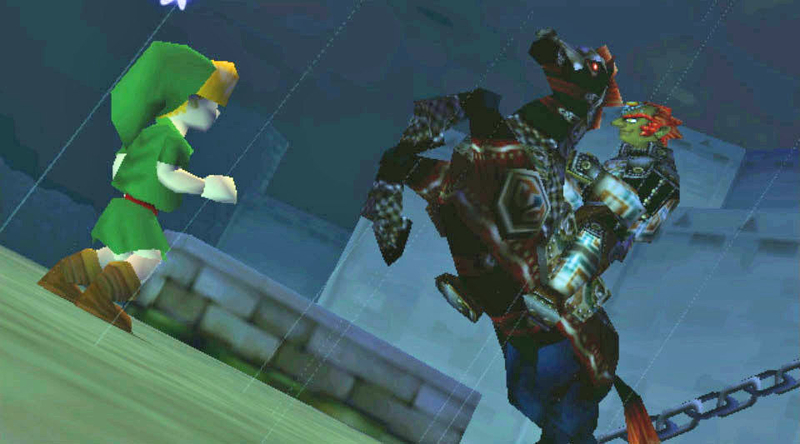 Perhaps the most controversial element came in the form of an ever-present time limit - as the game begins, Termina is threatened by the evil-possessed moon about to fall and destroy it, and you're in a constant race against the clock to try and free the four gods before that happens. Thankfully you do get the ability to reset the timer and slow the countdown relatively early on, though the former carries the price of losing all of your progress in a dungeon as well as any rupees, arrows and bombs you're carrying. In short Majora's Mask is a game with a lot of ideas, and while not all of them work, the ones that do make for a very interesting and compelling game experience unlike any other game in the franchise (or any other game, for that matter). It was also nice to see them put that 4 megabytes of extra RAM to use to deliver sharper graphics and a significantly more colorful and detailed game environment than the one OOT sported. A game that was fully intended to be marketed toward an American audience and even given full English voice acting to that effect, but which sadly came too late in the Nintendo 64's life cycle to get a western release. A real pity, that, as this is my favorite Treasure title of all time. ...No really, it's that good. Equal parts platformer, rail shooter and action anime, the game sports a surprisingly dark story paired with some of the craziest action setpieces put into any game as the player evades enemy attacks and shoots down swarms of jets, monsters and soldiers with their laser pistol/sword weapon. And aims for a high score, of course. It's grim, it's violent, it's crazy, and it's unbelievably fun from the first second to the last. Fortunately, it later got a release on the Wii's Virtual Console, and even a Wii sequel that manages to be even more over the top and insane than this one. Treasure, you are the best. Get Bonus. The spiritual sequel to Goldeneye and in every way its superior, toting more of the game objective and gadget-based gameplay, more weapons, brilliant multiplayer for up to 12 characters (four player controlled, eight AI-controlled), unlockable cheats, challenge levels, and even a cooperative single player campaign (and a somewhat broken "counter-operative" campaign where the second player plays as a random soldier and tries to stop the first player from completing the single player mode's objectives). It was also an amazing game on a technical level with its sharp visuals, excellent soundtrack and even some surprisingly intelligent enemy AI that could, among other things, draw a bead on you from great distances, use melee attacks to disarm you and would even sometimes retreat from a battle when things were going badly, only to regroup and come after you again later. Another game that required the Nintendo 64's RAM expansion, but it was well worth it to see the system pushed to the absolute limit of its potential. Hell, I still dig out the old N64 and play this one occasionally - it's too good not to.